Teal Patents – the world’s leading manufacturer of portable hand washing units – will be showcasing its ground–breaking KiddiWash range at ChildCare Expo Midlands at the Ricoh Arena, in Coventry, 28-29 September 2018. Recent outbreaks of Hepatitis A and B in Wales and Brighton are making it more important than ever for children to learn the gold standard of hand hygiene. Schools and nurseries carry a high risk of spreading contagious infections due to cross contamination. To minimise this risk, it is vital children are taught at a young age not only the importance of hand hygiene, but the best handwashing habits. As part of the company’s mission to instil good handwashing habits in young children, the KiddiWash range was designed specifically for private and volunteer nurseries with small hands in mind. The KiddiWash range makes handwashing fun, educational and completely hygienic for children. Fully portable, KiddiWash units require no mains water supply so nurseries and playgroups can put them where they’re needed – in a hallway or the garden or any place where children could be better catered for eg an ‘adult’ cloakroom facility. “With the recent outbreak of hepatitis in Wales, it’s more important than ever for nurseries and schools to teach good handwashing practice. Young children need to know the importance of good hand hygiene as well as the handwashing habits that will set them up for life. Mobile handwashing for children – whether it’s indoors or out! 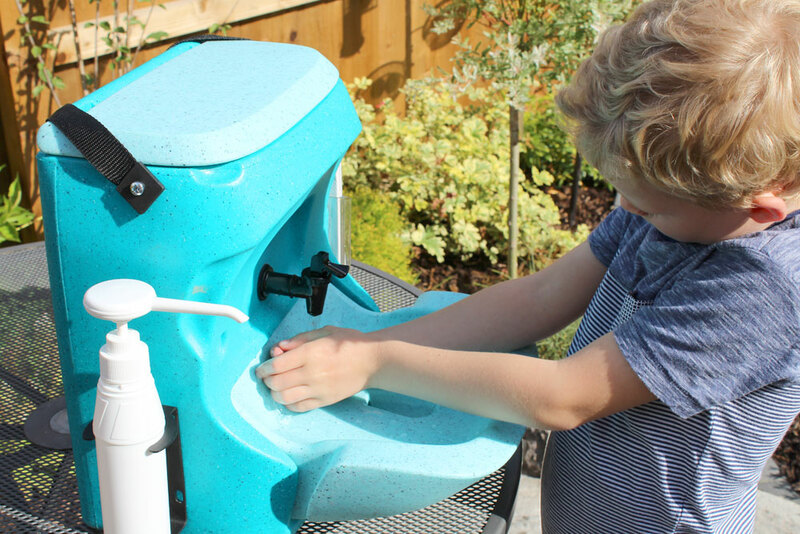 Whether you require a larger wheeled unit such as the KiddiSynk, or the ultra portable Kiddiwash Xtra, you can ensure that all children in your care are able to wash their hands inside or out.